A certain maritime flair surrounds the port city of Hamburg on the Elbe River. Hamburg, one of the most beautiful and popular travel destinations in Europe, is also considered one of its most important economic centers, thanks to its port. Book our chauffeured limousine service and combine a business trip with a little sightseeing and shopping, or go to a concert or the theater during your stay in Hanseatic Hamburg. Our professional chauffeurs will help you make the most of your valuable time in this very versatile city. With over 2,500 bridges, Hamburg has more of these structures than any other city in Europe. Many attractions await you here. The new Port District (HafenCity) borders on the well-known Warehouse District (Speicherstadt), where import and export companies still store coffee, spices and carpets. We’ll take you to the imposing Hamburg City Hall (Rathaus) and St. Michael's Church (Hauptkirche Sankt Michaelis) and continue on to the Alster River and the Old Elbe Tunnel, the colorful fish market, the world famous Mile of Sin, the Reeperbahn street and all of the St. Pauli district highlights in our limousines. Our professional limousine service will drive you through the city with elegance, comfortably and in style. From the moment our chauffeur greets you and you step into one of our luxury vehicles, you relax and escape the hustle and bustle of a major city so you can concentrate on your appointments. Leave it to us to get you there on time, relaxed and confident when you step out of a TOP-ALLIANCE vehicle. We offer both transfers and hourly hire. Discover Hamburg's main attractions in luxurious style in two to three hours in one of our limousines and transform your business trip to Hamburg into an unforgettable experience. At the conclusion of your trip, we will bring you to your departure terminal at Hamburg airport safely and on time. Our Customer Care Center is always there for you, either by phone or email. Choose between transfers and hourly hire. Then just give us the number of passengers, vehicle model (business or first-class limousines, spacious, luxurious minivans seating up to eight or minibuses for larger groups) and the pickup and drop-off points. Payment is easy, we accept credit cards and bank transfers, or we can invoice you. Our friendly, experienced booking team will assist you quickly and professionally by helping you select the right vehicle for your event or excursion and tailoring our offer to your individual wishes. 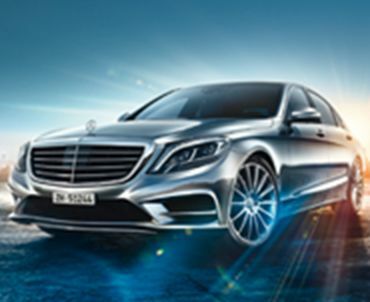 TOP-ALLIANCE – Chauffeur service in Hamburg like no other. Services in the listed cities are provided by TOP-ALLIANCE and/or our partners.